Apologies for the 2-week delay! This outfit is lovely. 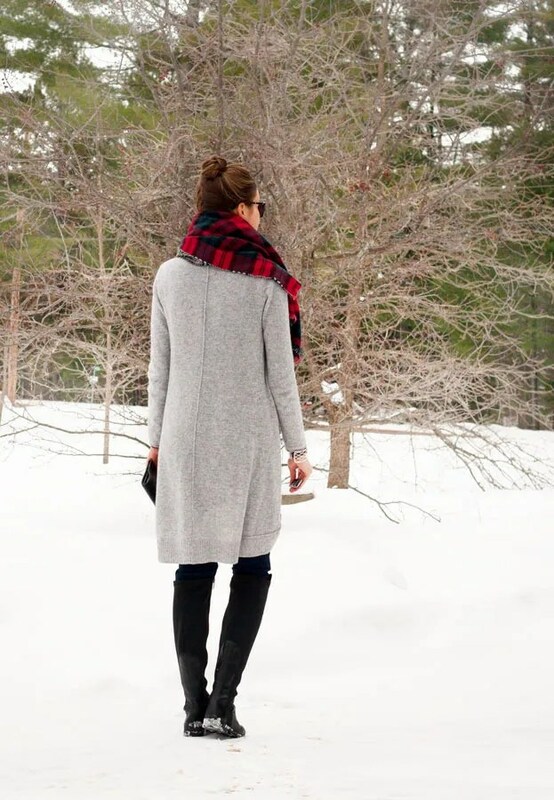 The plaid scarf is so big, warm, and cozy, and a real statement piece! The grey cardigan is also great, as are the boots. Really sleek winter look! love the colorful scarf and long cardigan! so cozy!